Heathcrest Heating Systems are heating maintenance contractors providing commercial and industrial heating solutions throughout the Home Counties. We deal with a wide variety of heating and hot water systems, by well established manufacturers and are agents for Powrmatic and Stokvis. A safe and reliable system starts at the point of its initial design and requires expert installation, so it is very important that you employ experts. Heathcrest are Gas Safe registered, expert heating engineers and we offer a comprehensive step-by-step design and installion process. We strongly recommend that our clients employ our ongoing, ultimately cost-saving maintenance and service contract, which ensure that problems are detected early and equipment down-time is minimised. 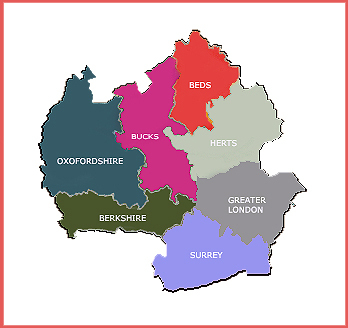 We have many highly satisfied clients throughout the county of Bedfordshire, ranging from relatively small retail premises and workshops, to large factory and office complexes such as Unigate. By installing the right system from the outset, you ensure many years of reliable service and peace of mind. Our aim is to provide you with the very best highly personal service, that only a family run business can provide. To discover more, or to arrange a free consultation with our managing director, please call Jeff on 01494 771211 or fill out the reply form on this page.